I've just realized that I haven't added a new Post here for two weeks. 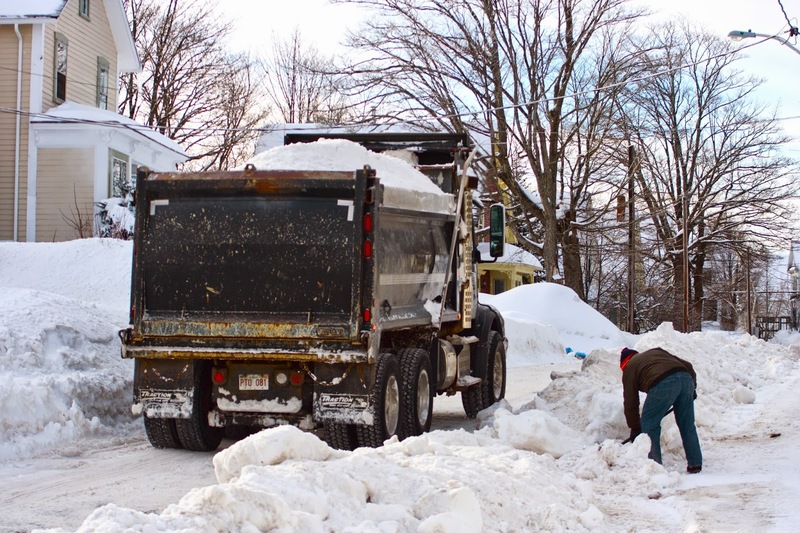 Snow removal has been one of the biggest distractions lately, but not the only one. There's also been the madness of our Christmas season, which gives way to my favourite holiday of all - the New Year. I bet you thought I'm going to talk about how best to store your pictures, weren't you? Nope - I'm going off topic today. Personally, I'm anticipating something very ominous in 2014. Not wanting to sound like a dooms-day prophet, I'm feeling more than ever that the smart move in 2014 will be to "get prepared". This has occupied a lot of my thinking lately too - at least as much as snow removal! It would be a very wise thing this coming year to get stocked up. Most of us are of modest means, and it's always difficult to build a nest egg - mainly because whether you know it or not, our modest wealth is being systematically stolen form us. The means by which this theft is being carried out is actually hiding in plain sight, within the world financial system. I'm not going to elaborate at all on this, except to say that massive debt ultimately cannot be paid off by printing more money - I remember being taught this way back in High School, and it's still true almost 40 years later. There must ultimately come a reckoning, and it could be this year. How NOT to be getting prepared for this is illustrated in my photo above. If what you're doing is shovelling your wealth into a bank, or any other financial institution, you may wake up to find that it has all been trucked away - then what will you do??? Money and securities are deteriorating in real value steadily, which ought to be well known to everybody, so in order to stay ahead of this, the "smart money" should be going toward your own personal necessities you will be using in the near future. My own personal take on this is - first, to get your assets all paid for - your real estate, vehicles, or anything else that the system could foreclose on when the crunch comes - make them all 100% yours, if you possibly are able. Even if it's just one thing - focus on that at least, so that you can own something outright, and eliminate a monthly payment. The next thing is, store up things you'll need to survive through a rough stretch - most experts advise three months worth. I'm not talking about digging an underground bunker and filling it with food.. it doesn't have to be that complicated. Just look for good deals on non-perishable food, paper products, trash bags, soaps, and buy some extra to tuck away. Simply doing the two things mentioned above is better than doing nothing. But there are some other things that will help you immensely, although maybe a little more difficult to accomplish. In terms of emergencies, it is wise to store up some fuel. My preference is electricity. It is the easiest of all fuel's to store, as well as being the most versatile. It is very easy and inexpensive to store your own; also easy to create your own, although not cheap. For storage, start by purchasing a couple of very high capacity batteries, a suitable battery charger, and a DC to AC Inverter, along with several extension cords. If used carefully, depending especially on the batteries you buy, you could store enough electricity to last you a week. This is the heart of your basic system, to which you can add solar panels and / or a small wind turbine. Many people put an equivalent amount of money into gasoline powered generators, and do their best to store up some gasoline. This is not my preferred solution, because gasoline goes bad after a few months - or if you add stabilizer to it, it might last for a year, maximum. Keep in mind, if you're undergoing a long term power outage, chances are, all local gasoline pumps will be without power too. I once thought I had this licked, when several years ago, I bought a Diesel powered generator. Diesel has many advantages, the most important being that it remains usable for years instead of months, and if you happen to use an oil fired furnace for home heating, your home fuel oil can also be used in the generator. A big disadvantage, however, is that a Diesel generator costs twice as much as a gasoline model, and almost nobody sells them in local hardware stores - they're kind of a specialized Industrial Supply item. Another problem with any generator, Diesel or gas, is that no matter if you're using just a little bit of power, or a lot, the generator must be running at full-speed, in which case, you'll be going through one tank of fuel a day, regardless of how much, or how little actual power you're using from it. This is a very bad, built-in efficiency problem. It could be overcome by using a combined generator - battery - inverter solution. This would work very well in terms of efficiency, but you must ask yourself, is it better to spend the extra money on the petrol powered generator, and still run the risk of not being able to buy fuel for it, or should you spend it on solar - wind? Only you can best determine what will best suit your needs. Finally, it might be wise to have some "real cash" stashed away in your house, in the event of a bank failure. A probable scenario would be a short period of hyper-inflation, followed by a long and severe Recession. Having some real currency (pure silver) would help get you through both scenarios. During the former, prices will increase madly, but so will the value of your precious metals. Then with what follows - a Depression, prices will fall to 1930's levels, with bread being perhaps ten cents a loaf, but if paper money and common coinage become worthless, will you even have that ten cents on hand? Precious metal coins, although their values will fall along with everything else, will more likely be worth at least their face value, so if you have some stored away, you'll at least stand a chance of buying some groceries. Just to get a little bit back on topic, it would also be a good idea to have some "barter-able" items in your storage - like, some real prints of your photos. If you need to go to a Doctor or Dentist, let's say, they love having nice pictures hanging on their waiting room walls. OK, So What About That Christmas Party?